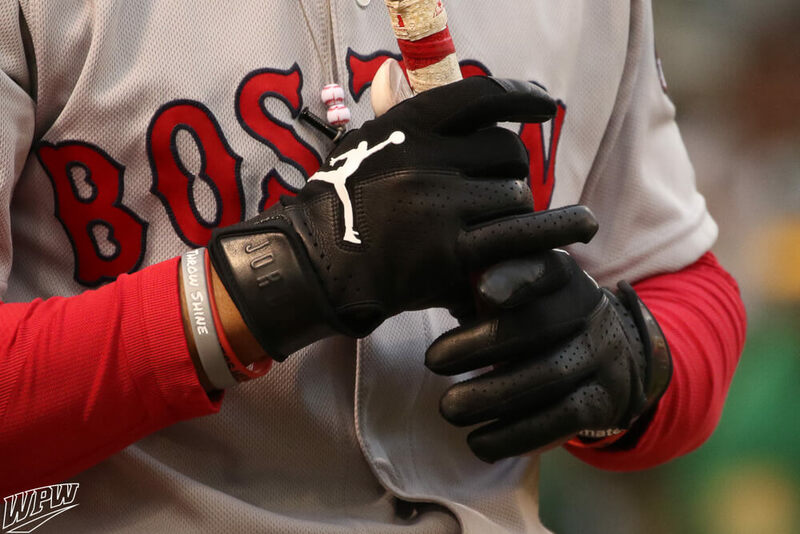 Mookie Betts’ batting gloves follow a trend from last year, where Jordan brand takes Nike’s styles and slaps a Jordan logo on them, just for their guys. What’s wild is that Mookie, on a cold night, actually wore two pairs of these on top of one another. 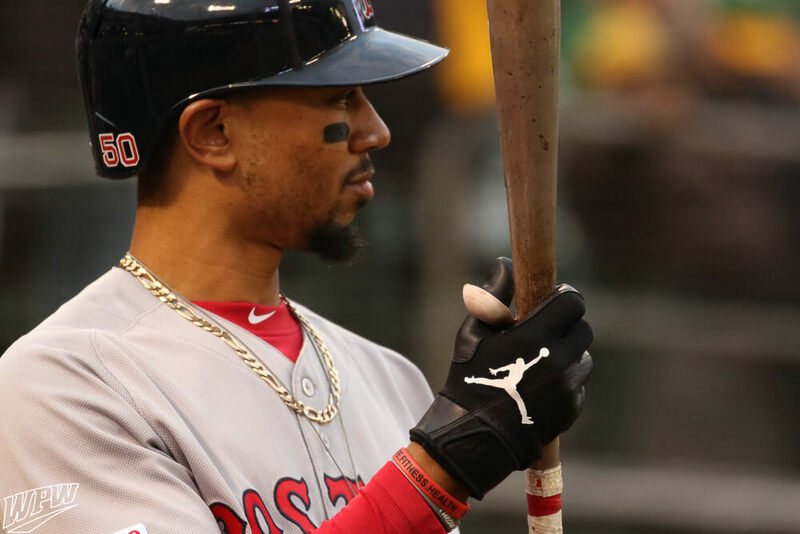 No, Mookie’s murder gloves are not available, but you can get the Nike Force Elite style, which is exactly the same batting glove with a Nike logo, at the link. 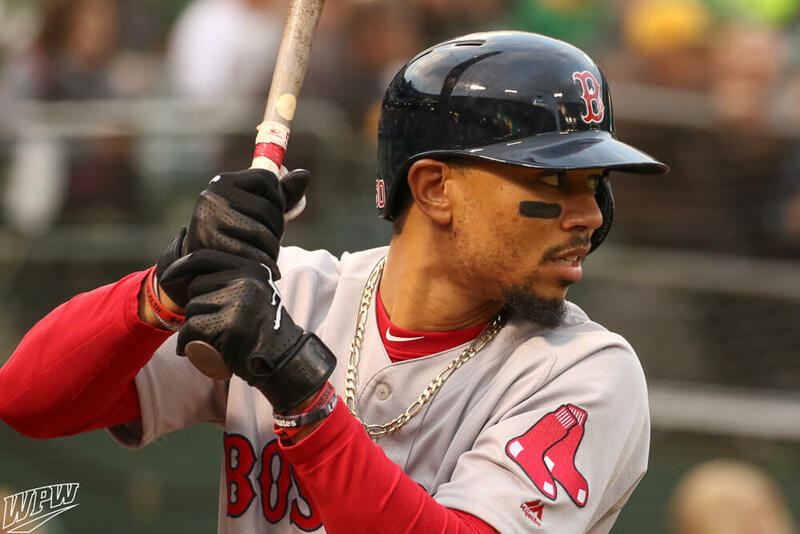 Categories: Mookie Betts, Gear, Outfield, Batting Gloves, Boston Red Sox.